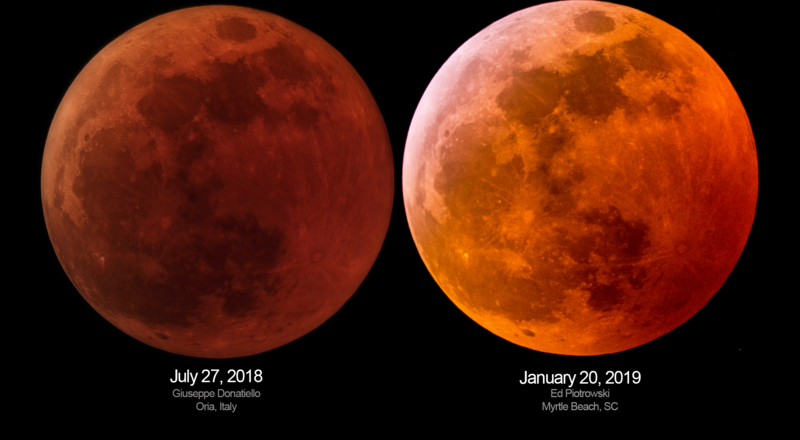 Sunday’s total lunar eclipse produced a brilliant orangey-red Moon visible for observers from the tip of South America to Canada’s northern territories, the only lunar eclipse of 2019. You might be recalling previous eclipses you’ve seen for yourself or in photos that might have looked a little different than Sunday’s. Each one is just a little different because of our dynamic atmosphere and the geometry of the shadow cast by Earth and The Earth’s umbral shadow is more than twice as wide as the Moon at that distance. The path the Moon takes through that shadow determines both the duration and magnitude of the eclipse. Last night’s eclipse had an umbral magnitude of 1.2. Any magnitude greater than 1 indicates a total eclipse and the deeper the Moon ventures into Earth’s umbral shadow the higher that number. Its measured by calculating the separation between the center of that shadow and the center of the Moon at their closest point. July’s total lunar eclipse umbral magnitude of 1.6, and a deeper red color than what the Americas experienced in 2019. 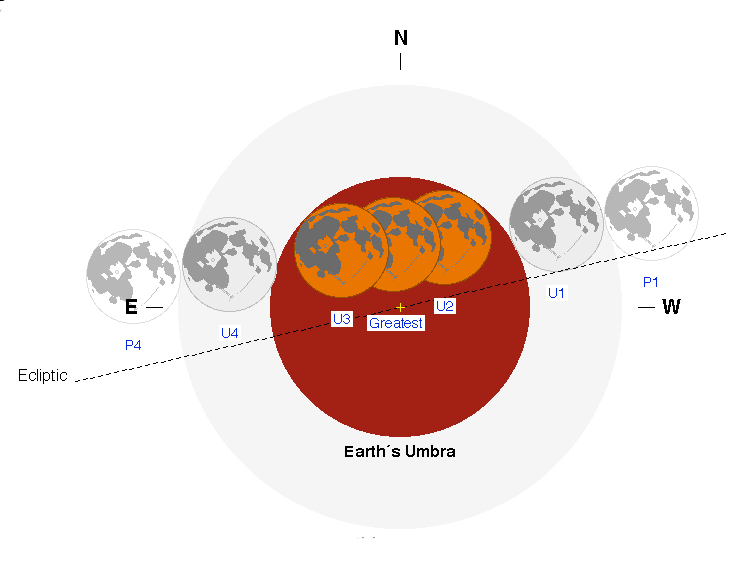 A little trigonometry and the umbral magnitude of any lunar eclipse can be calculated. 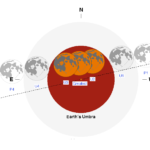 Another way to measure lunar eclipses cannot really be predicted ahead of time. French astronomer Andre Danjon created a five-point scale in 1921 to describe the appearance of the Moon during totality. L=1: Dark Eclipse, gray or brownish in coloration. You can make out details on the lunar surface but it is difficult.